Supply Chain Add-in is provides supply chain analysts and consultants with an app catalog for supply chain planning and optimization in Microsoft Excel. Users within transport, warehousing, automotive, retail, chemical and food industries can use mathematical optimization and machine learning technology to improve supply chain performance, with no deep analytical background required. Users can work in the familiar Excel environment and profit from simple and intuitive app workflows. Excellent tool for its price tag. Plenty of features and with a huge potential. The interface is easy to understand and use. The features for Logistics planning and execution are comprehensive and cover many aspects allowing it to perfectly fit on the day-to-day operational processes for distribution planning and optimization. It can be easily adapted and integrated with any data sources and, at the same, provides output to other external applications that can complement the functions with tools for execution (distribution listas, routes, fleet utilization). It can even be integrated to existing or to-exist mobile solutions. Some glitches yet when it comes to run processes for big volumes of data. It is also a bit weak on the parameters and options to run ABC/XYZ analysis. It should also be improved to allow some sort of workflow between the planning and the execution tools. Supply Chain Add-in makes it possible for everybody to use mathematical optimization and machine learning technology to improve supply chain performance. Improve supply chain performance through intelligent planning and optimization apps. Supply Chain Add-in's clean and user friendly app workflows will increase planning efficiency to help get things done faster. Visualize the results on interactive maps and dashboards. No analytical background required. Solve supply chain planning problems with the newest optimization and supply chain analytics technologies. Below are some frequently asked questions for Supply Chain Add-in. Q. What type of pricing plans does Supply Chain Add-in offer? Q. Who are the typical users of Supply Chain Add-in? Q. What languages does Supply Chain Add-in support? Q. Does Supply Chain Add-in support mobile devices? Q. Does Supply Chain Add-in offer an API? No, Supply Chain Add-in does not have an API available. Q. 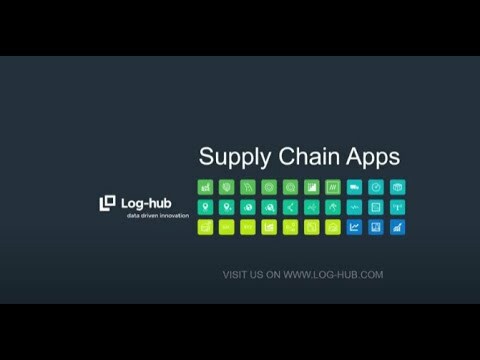 What other apps does Supply Chain Add-in integrate with? Q. What level of support does Supply Chain Add-in offer?